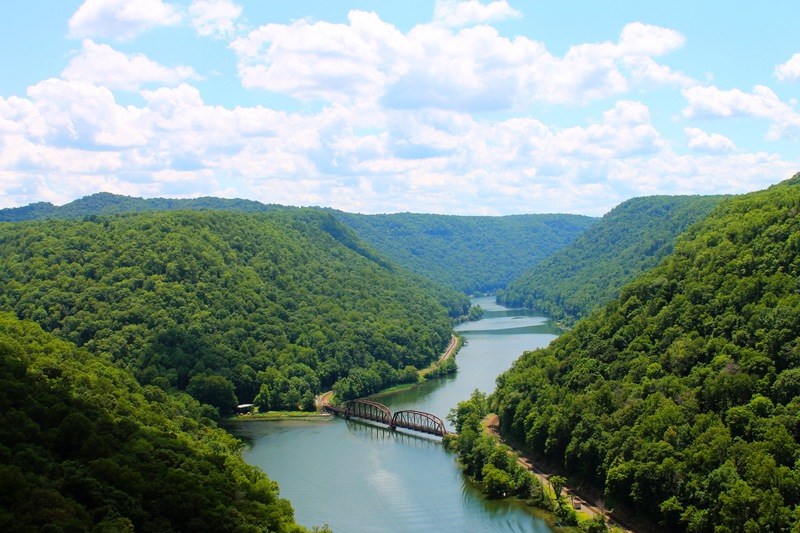 Hawks Nest State Park is situated along Highway 60 about 20 minutes from the New River Gorge Canyon Rim Visitors Center. The park is broken into two sections. The first part is where the lodge is located. 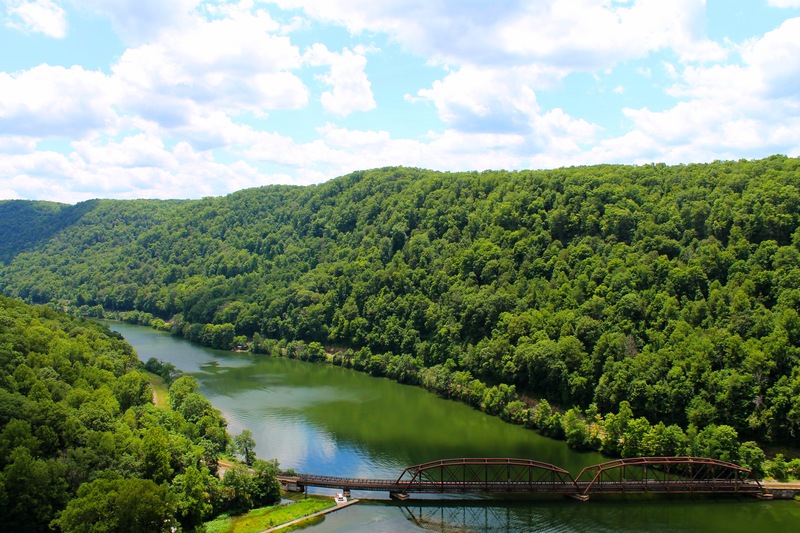 From the lodge, there is a nice view of the gorge, but for an even better view, take the short trail to the Lover’s Leap Overlook. 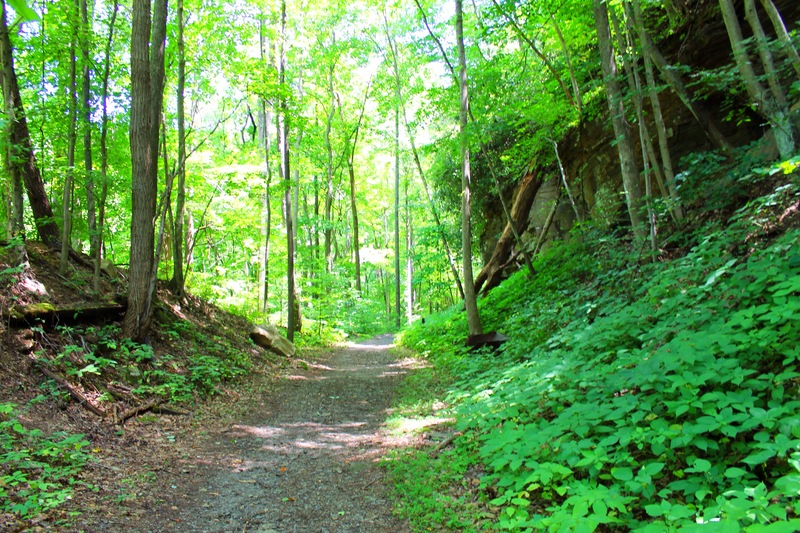 While the trail is steep and has lots of stairs, it is short and worth the extra effort. 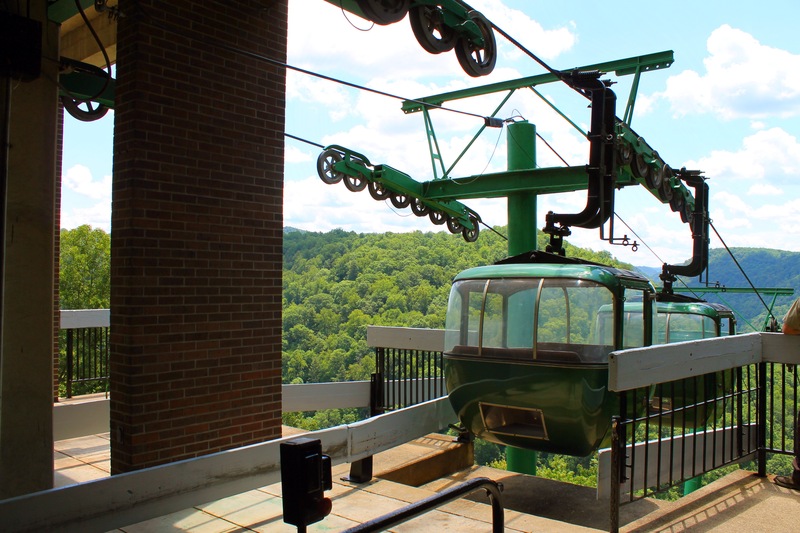 A unique feature of this state park is that it has an aerial tram. For $4 round trip, you can ride the tram. The tram takes you to the bottom of the gorge where you can get an up close view of the river, take a jet boat ride, or even do a bit of hiking. We didn’t spend much time at the bottom, but we did hike the Hawks Nest Rail Trail for a bit. This is a nice wide trail that runs above Mill Creek. 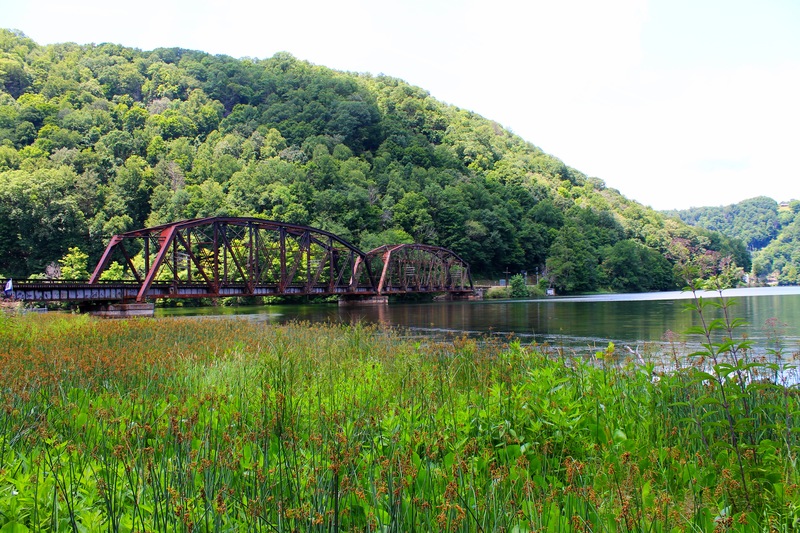 The trail begins behind the tram station and ends near the town of Ansted. We actually visited the second part of the park first since we took a side trip to Gauley Bridge. 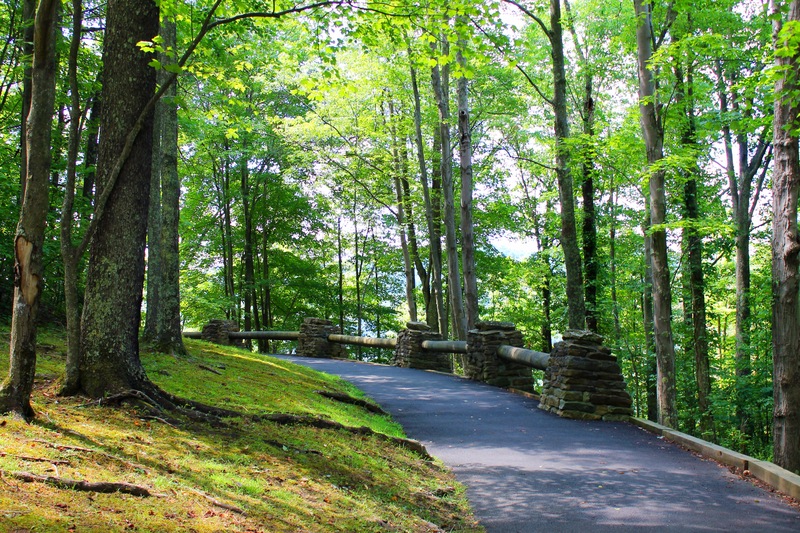 This part of the park has a nice picnic area where we ate lunch and then walked the short loop to the most popular overlook in the park. We explored the New River Gorge in two days. You can see our route below. 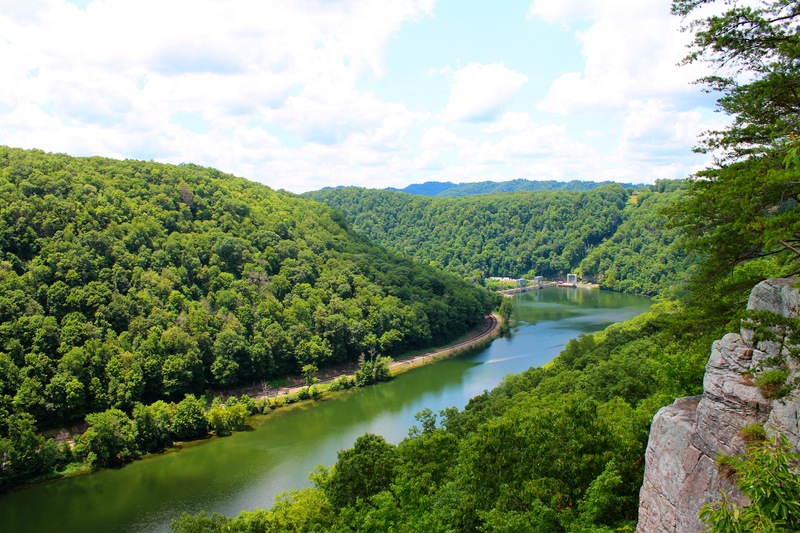 We also visited Cathedral Falls and Kanawha Falls which are just a short drive from Hawks Nest State Park. Very pretty.. The tram looks like it would be great fun!